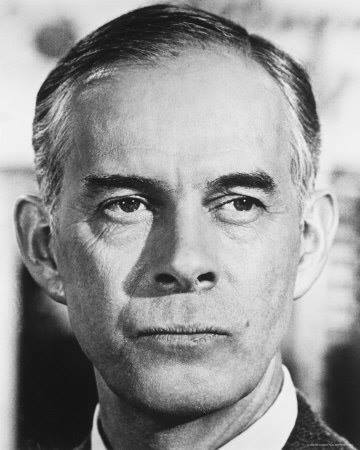 Spoiler : Harry Morgan, born Harry Bratsberg (April 10, 1915 – December 7, 2011). His film career spanned six decades. Morgan's major roles included Pete Porter in both December Bride (1954–1959) and Pete and Gladys (1960–1962); Officer Bill Gannon on Dragnet (1967–1970); Amos Coogan on Hec Ramsey (1972–1974); and for his starring role as Colonel Sherman T. Potter in M*A*S*H (1975–1983) and AfterMASH (1983–1984). Morgan also appeared in more than 100 films. Morgan made his screen debut (originally using the name "Henry Morgan") in the 1942 movie To the Shores of Tripoli. His screen name later would become "Henry 'Harry' Morgan" and eventually Harry Morgan, to avoid confusion with the popular humorist of the same name. He continued to play a number of significant roles on the big screen in such films as The Ox-Bow Incident (1943); Wing and a Prayer (1944); Dragonwyck (1946); The Big Clock (1948); High Noon (1952); and several films in the 1950s for director Anthony Mann, including Bend of the River (1952); Thunder Bay (1953); The Glenn Miller Story (1954); The Far Country (1955) and Strategic Air Command (1955). In his later film career, he appeared in Inherit the Wind (1960); How the West Was Won (1962) (as Ulysses S. Grant); John Goldfarb, Please Come Home (1965); Frankie and Johnny (1966); Support Your Local Sheriff! (1969); Support Your Local Gunfighter! (1971); Snowball Express (1972); The Shootist (1976); The Wild Wild West Revisited (1979); and a cameo in the film version of Dragnet (1987) with Dan Aykroyd and Tom Hanks. 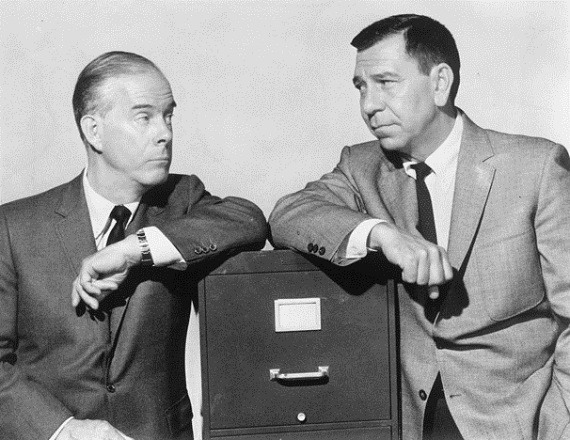 Morgan had also appeared with Dragnet star Jack Webb in two film noir movies, Dark City (1950) and Appointment with Danger (1951), and was an early regular member of Jack Webb's stock company of actors on the original Dragnet radio show. After his contract with Mark VII had expired in 1974, Morgan's first appearance on M*A*S*H was in the show's third season (1974–1975), when he played eccentric Major General Bartford Hamilton Steele in "The General Flipped at Dawn", which originally aired on September 10, 1974. 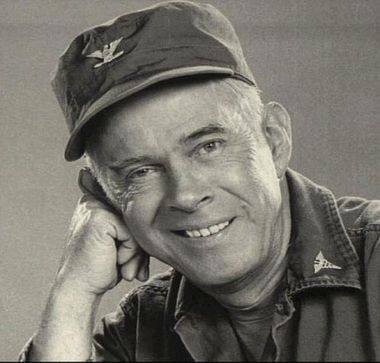 Harry Morgan died peacefully in his sleep at age 96 in 2011. Spoiler : Just heard him on another episode of "This is your FBI". It was about a bootlegger getting shot by his cousins wife, that he had been in business with. He had a great voice. I knew it was him immediately! Spoiler : Very talented & versatile actor. Spoiler : He was an awesome actor and enjoyed watching him. Spoiler : Morgan, Harry	(Harry Bratsburg, aka Henry Morgan) Born in Detroit, Michigan 4/10/1915. Went by name of Henry Morgan the first thirteen years of his career. Screen debut in To The Shores Of Tripoli (1942). Spoiler : Announcer (Henry Morgan) for Mystery In The Air on NBC-Radio (1947). Regular performer on many radio programs during the middle 1940s to the early 1950s, including episodes of This Is Your FBI for ABC-Radio (1949-1951) Suspense Dragnet. Spoiler : Pete Porter on December Bride for CBS-TV (1954-1959), again on Pete And Gladys for CBS-TV (1960-62). Regular performer on The Richard Boone Show for NBC-TV (1963-1964). Seldom Jackson on Kentucky Jones for NBC-TV (1964-65). Officer Bill Gannon on Dragnet for NBC-TV (1967-1970). Chief Deputy District Attorney "Staff" Stafford on The D.A. for NBC-TV (1971-1972). Doc Amos Coogan on Hec Ramsey for NBC-TV (1972-1974). Colonel Sherman Potter on M*A*S*H for CBS-TV (1975-1983), again (Doctor Potter) on Aftermash for CBS-TV (1983-1984). President Harry S. Truman on the NBC-TV miniseries, Backstairs At The White House (1979). Bob Campbell on the ABC- TV miniseries Roots: The Next Generation (1979). Leonard Blacke on Blacke's Magic for NBC-TV (1986-1988). Martin Vanderhof on the syndicated television series, You Can't Take It With You (1987-1988). Emmy Award in 1980 for M*A*S*H.